Marine wildlife researchers have found a new species of shark in the waters off the coast of the central American state of Belize. The WWF says the revelation serves as a conservation message. The Fisheries Department of Belize and researchers with the Florida International University (FIU) registered their discovery of a previously unknown species of Sphyrna or hammerhead shark this week. They say its range is relatively small and that it needs clean waters to survive, which is indicative of the health of the 300 kilometer long Belize Barrier reef - the longest in the northern hemisphere - where it was found. Philipp Kanstinger, marine conservation expert with WWF Germany says the find underscores the importance of the reef as a biodiversity hotspot, and signals the need for action. "The WWF is working with other partners to ensure this valuable location will be preserved in the future," he said in a press release. The organization is also calling on the government of Belize to be actively involved in protecting the marine paradise, which is home to more than 500 species of fish, over 100 types of coral as well as a rich diversity of flora. Sharks, dolphins, sea turtles, manta rays and the American marine crocodile are also among the wildlife known to swim in those parts. Inscribed as a UNESCO World Heritage Site in 1996, the reef is comprised of seven marine protected areas. But the ecosystem has come under threat in recent years as thousands of hectares of mangrove forest have been destroyed in the name of coastal and industrial development. In 2009, the destruction prompted UNESCO to put the site on its endangered list. Gourmets in China pay crazy prices. One kilo of dried sea cucumber fetches up to 1-thousand US dollars. 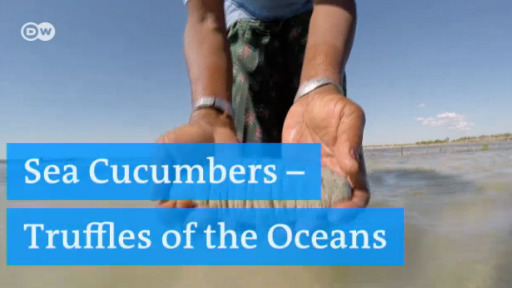 Breeders in Madagascar earn an extra income while at the same time protect the marine ecosystem. The Caribbean coast is awash with tons of foul-smelling seaweed, causing problems for the environment and tourism. Could a protective barrier in the sea help? It's one of the solutions being proposed.